Sod installation or hydroseeding will give you a beautiful lawn. This service includes the proper site preparations to make the installation a success. Grass can be very particular and requires the right soil conditions among other things to grow to its fullest. We will also address any drainage issues that the area may have when preparing for sod or hydroseed. 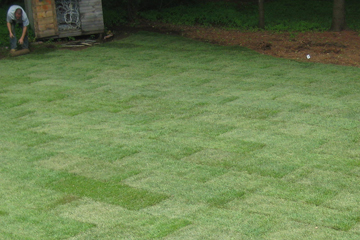 If you don�t have a lawn and would like one then we can install sod or hydroseed to fix that. Or if you would just like to start over we can do that as well. 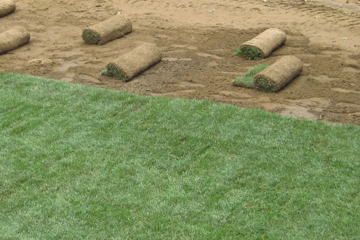 Our sod is usually cut just 6-12 hours before installation begins, insuring you get the healthiest turf possible. We also do turf repair for lawns that have been damaged.